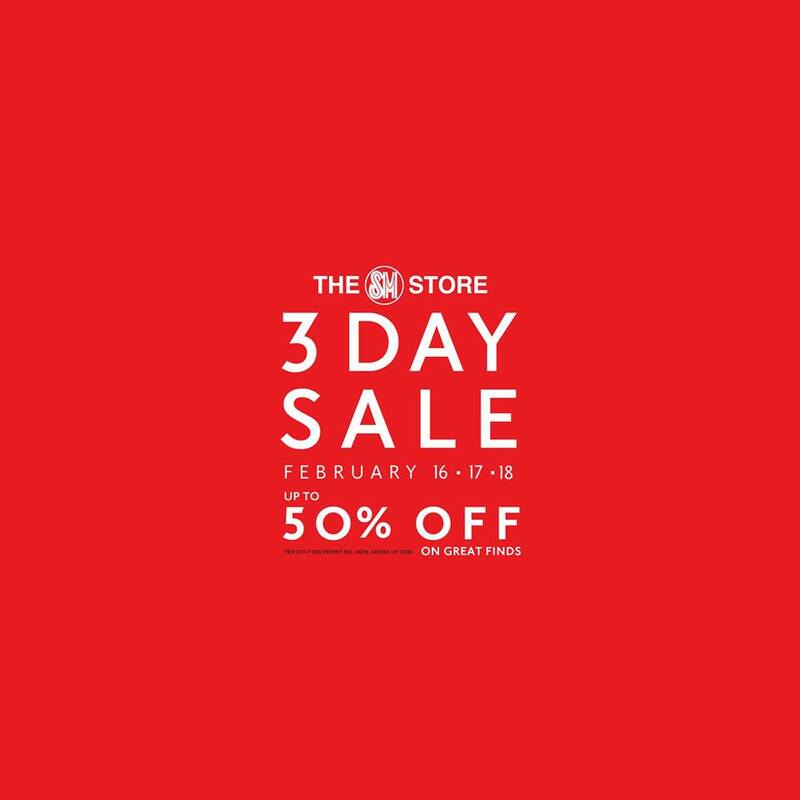 Celebrate love month with up to 50% off on select best-sellers from our 3 Day Sale this February 16-18, 2018 at The SM Store Sta. 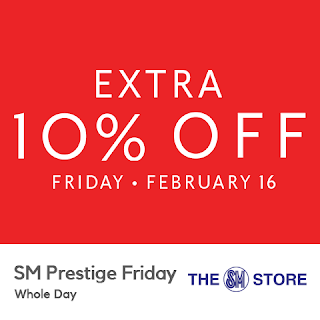 Mesa, Masinag, Baliwag, Calamba, Molino, Olongapo, and CDO Downtown Premier! 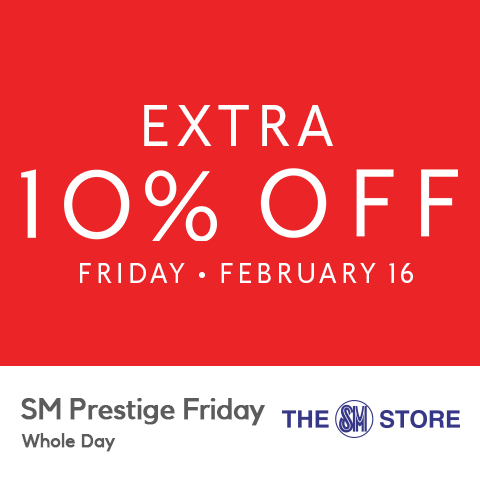 PRESTIGE FRIDAY: Extra 10% off on all* items, whole day on February 16, 2018 with your SM Prestige and BDO Rewards Diamond card. 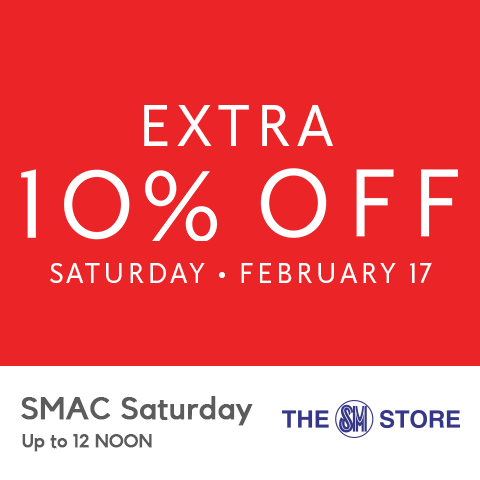 SMAC SATURDAY: Extra 10% off on all* items, up to 12nn, with your SM Advantage, SM Prestige cards, BDO Rewards, Mom, Primo, Love Your Body, and SSI cards, on Saturday February 17, 2018. 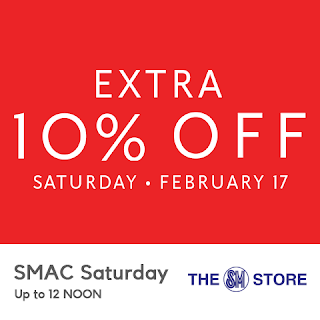 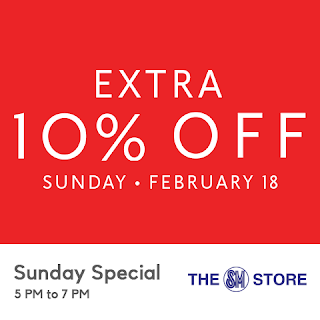 SMAC SUNDAY SPECIAL: Extra 10% off on all* items, 5pm to 7pm with your SM Advantage, SM Prestige, BDO Rewards, Mom, Primo, Love Your Body, and SSI cards on Sunday February 18, 2018.